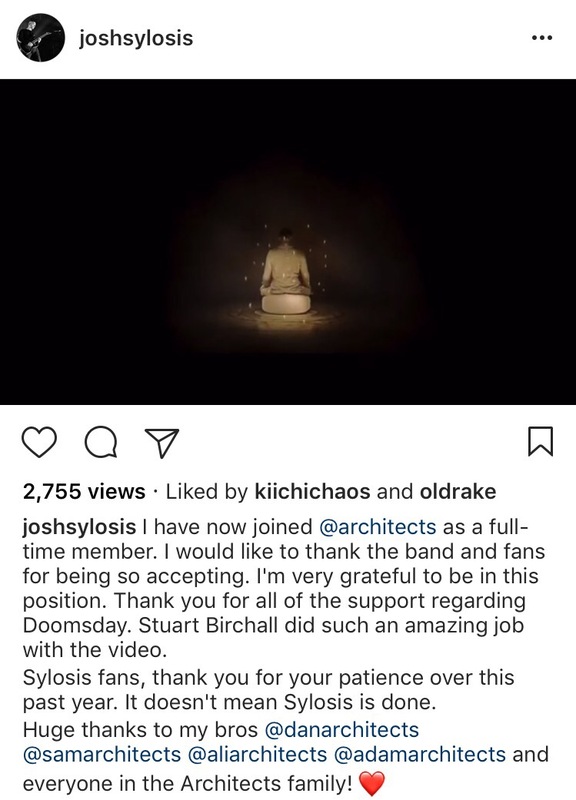 Just like I thought, Josh Middleton is now in Architects and it’s not bad news for Sylosis! Unveiling their brand new video “Doomsday” just yesterday, Josh was spotted in the video and it made me question whether or not he was officially in the band. 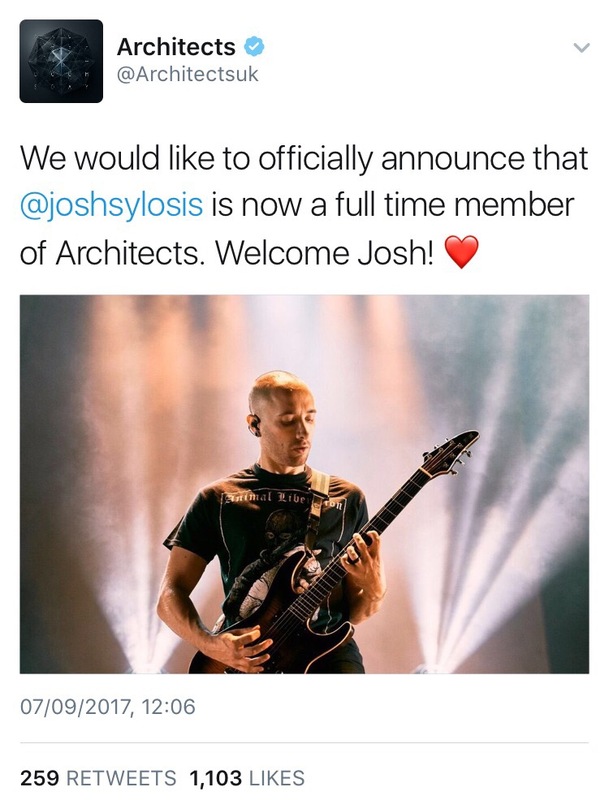 Today Architects have announced that Josh is definitely in the band with an official announcement from Twitter and Josh himself from instagram. However what we might have been fearing hasn’t materialised! In an instagram post Middleton has confirmed that Sylosis is not done! Though I have to say, trying to fit in Sylosis into Architects‘ schedule will no doubt be pretty tough. I would imagine there will have to be some good organisation in place however even if we get just the one record, I’ll be happy!